Rely on the professionals with over 30 years of industry experience at Chinook Fire Protection to satisfy your needs for fire sprinklers. Since 2005, our company has offered everything from fire sprinkler maintenance and installations to extinguishers and fire alarms. Licensed, bonded, and insured for your protection, our state certified staff is here to serve you. Contact our company in Anchorage, Alaska, for top-quality fire sprinklers, alarms, and extinguishers, as well as emergency sprinkler maintenance and kitchen hoods. Enjoy reliable services every time you choose our company. As experts in fire protection, Chinook Fire Protection is here to provide you with exceptional care. Prior to founding our business, our partners worked for other fire protection companies for many years. In 2005, they realized that Alaska was in dire need for a business of this nature that was more customer oriented. Not only do we sell and maintain systems, but we also provide design work. This is because we at Chinook Fire have a team of 3 Nicet level 4 professionals. 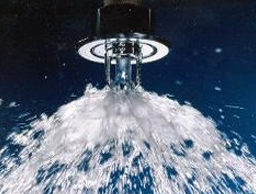 Call us today for new installations of fire sprinklers and alarms. We employ skilled personnel who are all Alaska State Licensed, and Factory Trained and Certified. Our Design Department is NICET IV Certified. Let our designers who are all NICET IV certified take your project from start to finish.sh.